Panashe Chigumadzi is a young and upcoming media executive passionate about creating new narratives that work to redefine and reaffirm African identity. She is the founder and editor of Vanguard Magazine, a platform which aims to speak to the life of young black women coming of age in post-apartheid South Africa. She has previously worked as a TV journalist for CNBC Africa, a columnist for Forbes Woman Africa and a contributor to Forbes Africa. She has been invited to speak at a number of local and international events. In 2013 she became a member of the World Economic Forum’s Global Shapers community, a network of young people who strive to make an impact in their communities. 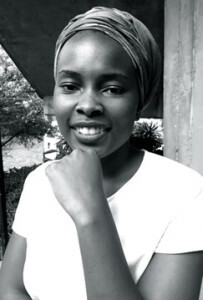 Panashe is a 2015 Ruth First Fellow at Wits University.